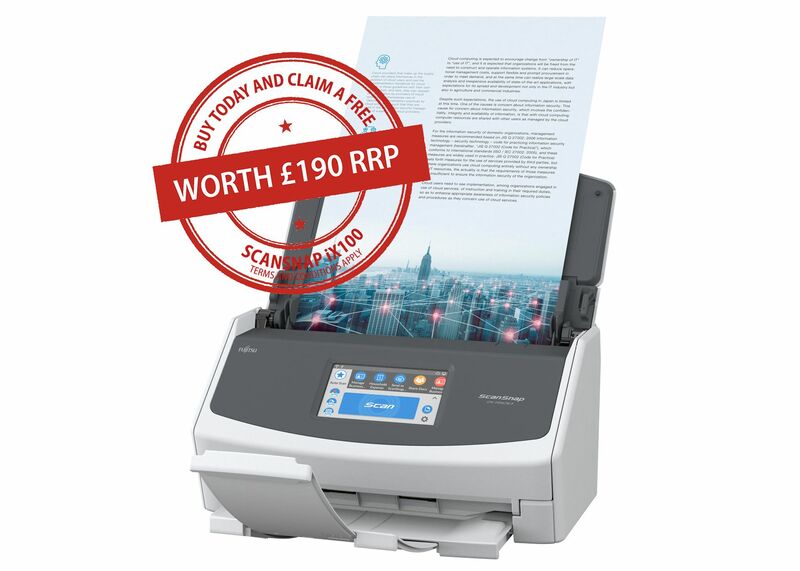 The iX1500`s 4.3-inch LCD touchscreen turns the old way of scanning on its head; instead of scanning a document and choosing what you want to do with it each time, now, after your first simple set-up, you can forget all about it. It also allows multiple users to each personalise the interface with their own set of large, colour-coded buttons for the functions they use the most. The all-new ScanSnap Home software enables you to preview, tag, search and retrieve any document easily. ScanSnap Home also uses the text on your scans, such as the shop and company name to recommend file names. It learns and adapts to how you work! ScanSnap Cloud can send them straight to one of up to four different cloud storage locations and is smart enough to recognise which one depending on the document type; photos, receipts, business cards or documents. That means instant sharing with colleagues, friends and family. The reliability of its market leading feed technology and handy receipt guide means the iX1500 makes light work of both large and small items, from A3 documents down to ID cards or receipts. Boot up and be ready to go straight away thanks to the iX1500`s fast start-up, with the touch of just one button, you`ll be scanning within seconds. Just open the cover and the ScanSnap iX1500 is ready to go. And with a speed of 30 double-sided sheets per minute, you`ll be done in no time at all, that means more time to get on with what really matters. You can share the device out of the box with up to 4 family members or colleagues; even more with additional licences.